I am knitting (and designing!) with some absolutely incredible cashmere yarn right now and I just had to share the yummyness. In order to truly appreciate cashmere one must touch/rub/fondle it, but the colours of the hand-dyed yarn are so beautiful that they deserve a photo. 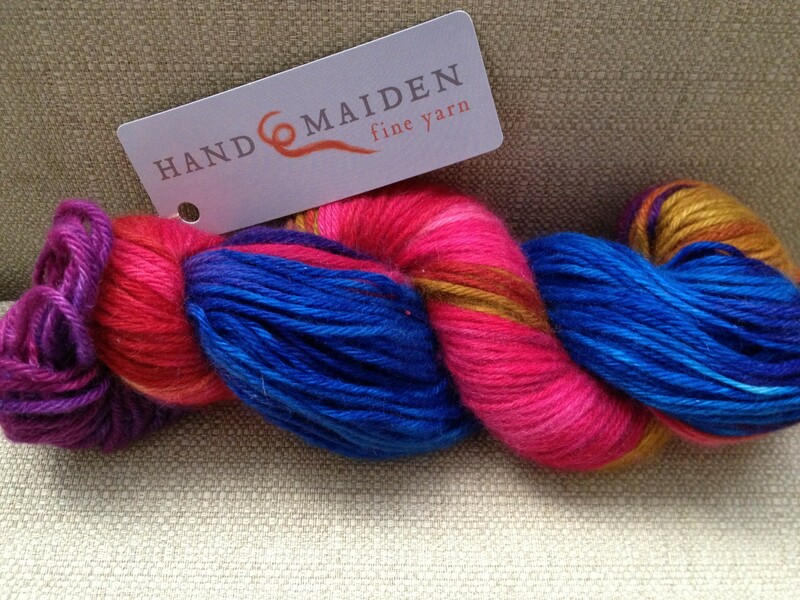 I happened to see these two skeins of this Hand Maiden hand dyed 4-ply 100% cashmere for 50% off at the Loop recently and I couldn’t walk out of there without them. I’ve said it before, I’m a sucker for bright, highly variegated yarns, even though they can be a bit of a challenge to work with. PS. I will likely be MIA for the next little bit, holidays and moving are taking over my life. I just want to say a big thank-you to everyone for all the support I’ve been getting. I started this blog, and the designing thing, on a bit of a whim. Now, just a short time later, it has really started to take off. 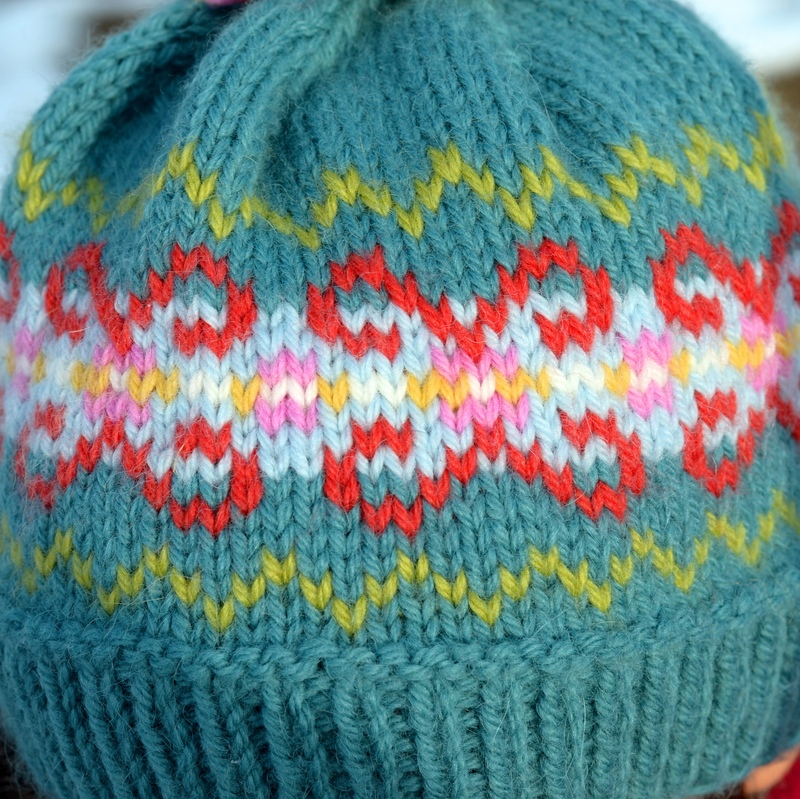 My patterns are becoming quite popular on Ravelry, and sales have been nice and steady. My KAL has more than one participant (a whopping 5 so far! ), and the blog is starting to get attention from Pinterest and Tumblr. I have now started a Facebook page, so you can now check me out there… although I have no idea what I’m doing when it comes to that stuff. The big woohoo for today, though, is that my Jennifer Boot Cuffs pattern was featured on the Berroco blog. I must say, it felt pretty cool to see my work there. I’m starting to feel like I’m spamming the internet, which is weird, but I like it. I guess it’s payback for all those years that the internet has been spamming me. And now for the final installment of the thrummed mittens saga, I present the lady-sized version. These were knit for the mom of the two boys for whom I had knit the previous versions. She is a dear friend of mine, my university roommate from many moons ago. She is also the same friend who helped me learn to knit way back then. 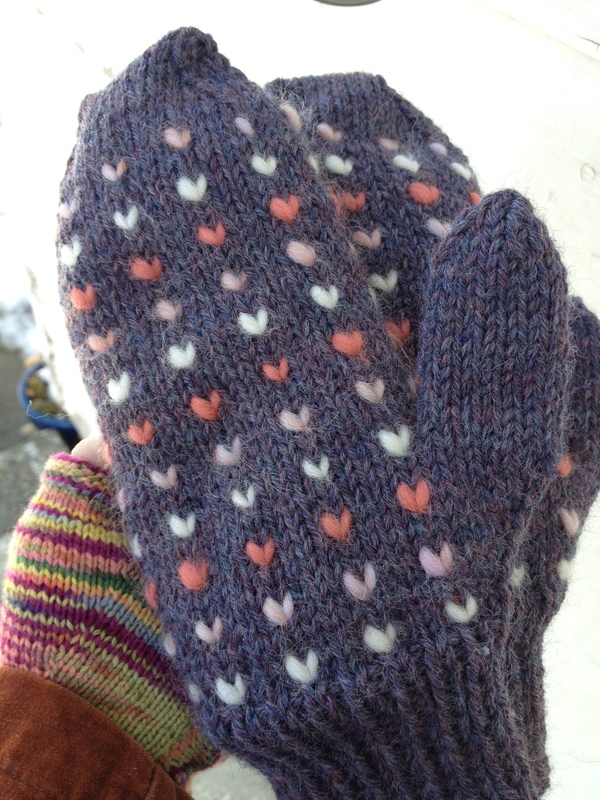 These mittens are a little more sophisticated, knit with a beautiful mauve Cascade 220 Heathers. The thrums were made with some roving I bought a long time ago that had cream, rust and a cream/rust/mauve blend. I used the one colour for each row of thrums, which gave them a subtle stripe pattern. I’m really happy with how these turned out, I hope Tamara is too! I really just needed an excuse to post this beautiful picture. 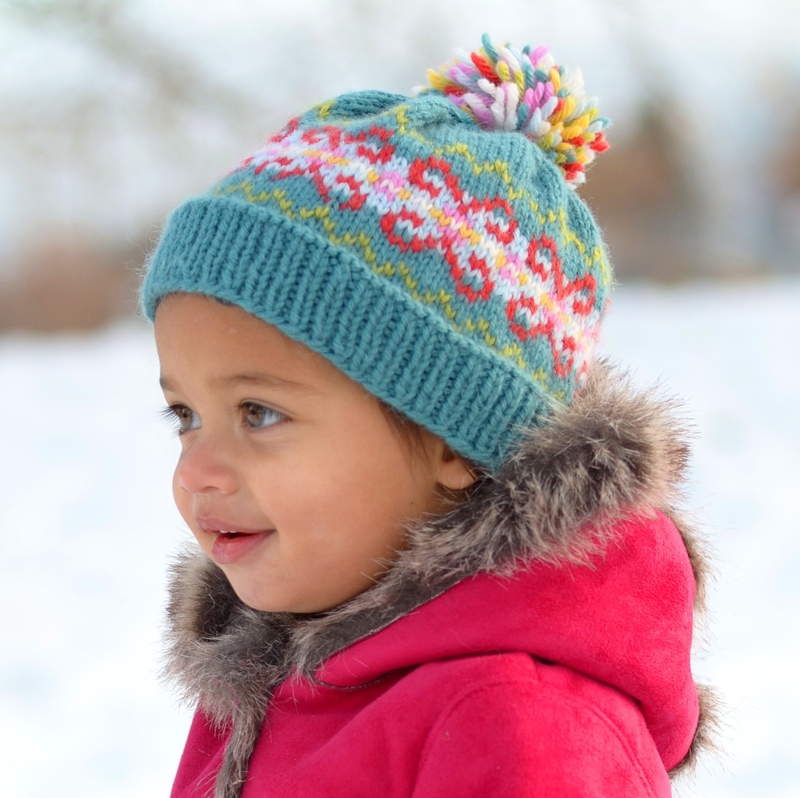 I just released my first free pattern, the Pippa Toque. 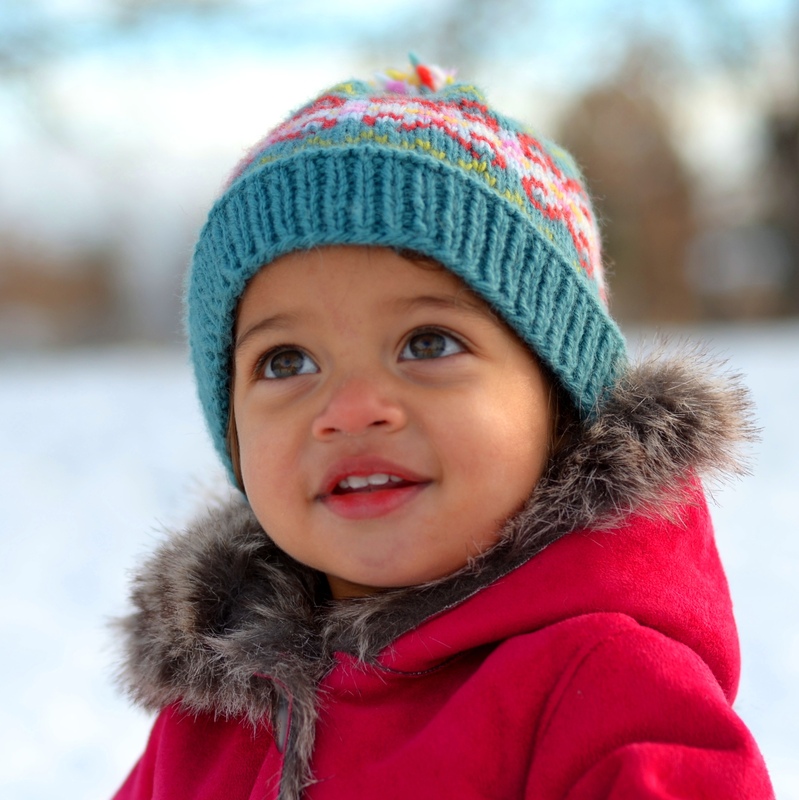 It’s a cute little hat to keep heads and ears toasty and warm on cold winter days. 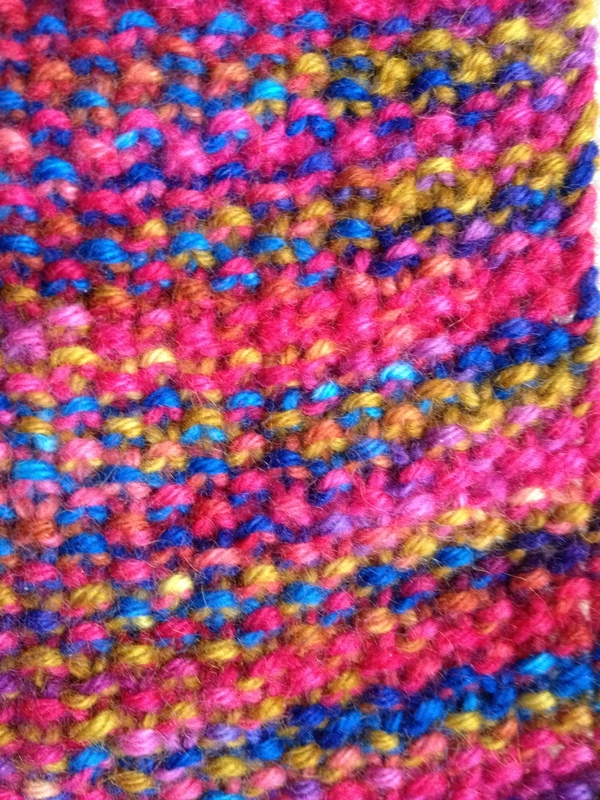 The close stitches and stranded colour work make this a nice thick fabric for great insulation. Thank you to Eleanor Dixon for technical editing and to Ryan Barr for the wonderful photography again. You can Download It Now from my Ravelry store!